Guangzhou Olansi Healthcare Co.,Ltd is the China based professional manufacturer of air purifier, hydrogen water generator that supplies hydrogen water machines, allowing people to take care of their health by consuming hydrogen rich water. Guangzhou, China, February 6, 2017 – For people who are concerned of impurities found in the potable water, Guangzhou Olansi Healthcare Co.,Ltd has now introduced the hydrogen water machines to make hydrogen enriched drinking water. The machine helps producing water that is safe and healthy for drinking. 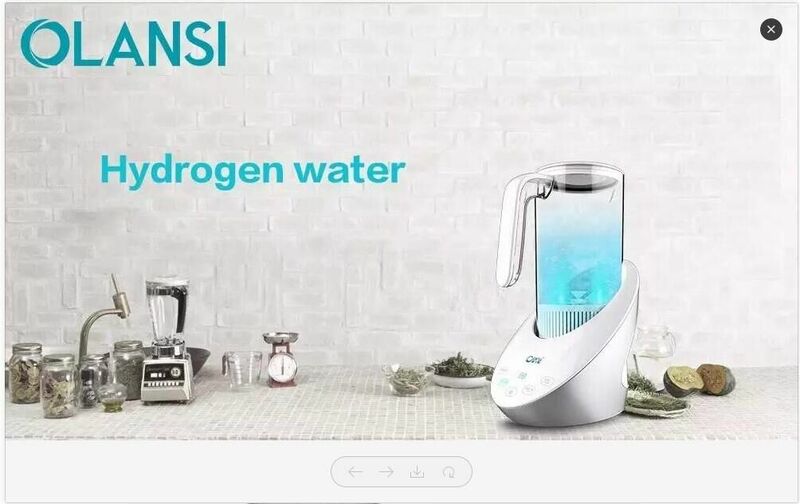 According to the spokesperson of the company, the hydrogen water generator they produce uses a patented technology of eletrolyzation. Because of the process of electrolysis, a large amount of hydrogen is produced, which is healthier for humans. It has been proved that hydrogen has an antioxidant effect on the human body and by drinking hydrogen rich water one can enjoy several kinds of health benefits. The hydrogen rich water can improve the digestion process, improve the sleeping, reduce blood pressure and can also delay aging. People who want to maintain their youthfulness should think about drinking hydrogen enriched water, and can take help of the hydrogen water maker that Guangzhou Olansi Healthcare Co.,Ltd produces. The water maker visualizes the electrolysis process and has a touch control for shutting down the process. The water maker features a high strength plastic that is environment friendly and free from toxins. The bottle body is made of Eastman Tritan plastic that has a high temperature resistance and also makes it easy to clean. Posted in Hydrogen water generator news and tagged hydrogen gas production, hydrogen powered generator, making hydrogen, water to hydrogen.